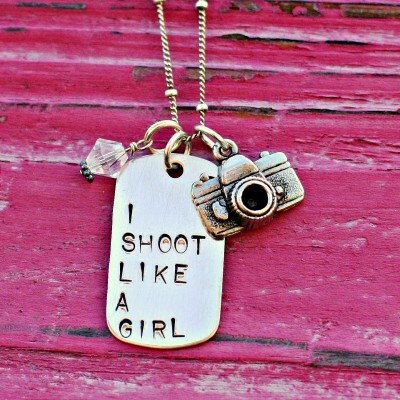 Whether photography is a profession or a passion, this necklace is for you! Our medium sterling silver dog tag (1.25"x.75") dresses up nicely with our pewter camera charm and large Swarovski crystal tagging along. Indicate in the notes section if you'd like to substitute the clear crystal for the birthstone of your choice. Sterling silver chain included. 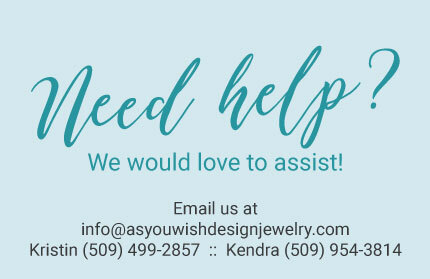 Please allow up to 2 weeks for your custom order to ship. * Chain Length: -- Option Choices -- 16" 18" 20" 24"
View Our Deluxe Gift Wrap!